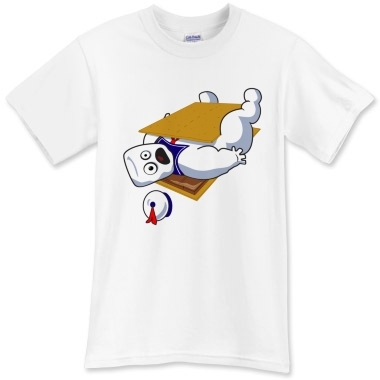 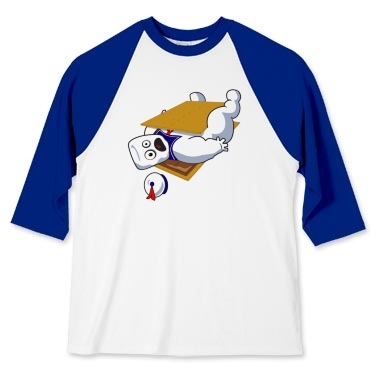 Stay Puft has been a major pop culture icon since the hit Ghostbusters movie in the 80s. 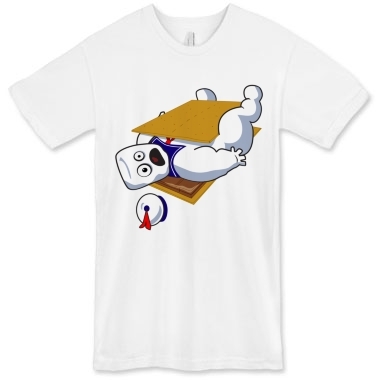 Ever wonder what happened to the Stay Puft Marshmallow Man after his ill-fated rampage in New York City? 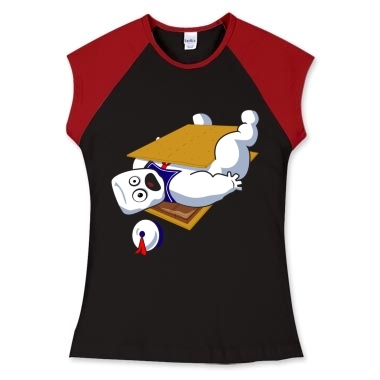 Well, after recovering from his being cool whipped by the Ghostbusters, he made the mistake of becoming a summer camp counselor for kids. 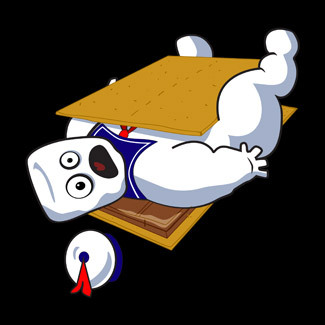 One evening while sitting around the campfire, Stay Puft was shocked to find his little tykes waving graham crackers and chocolate bars chanting, "Smore, smore! 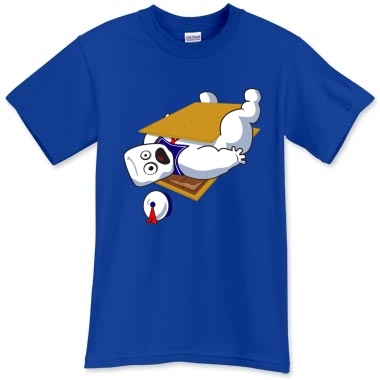 Smore him!" 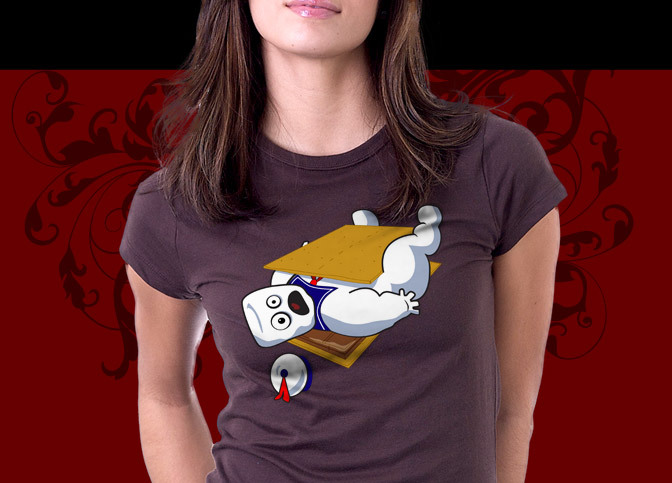 Very funny pop culture tee shirt here!